Despite Trent Barrett’s likely departure from Manly at the end of the season, he won’t be anywhere near Penrith in 2019. 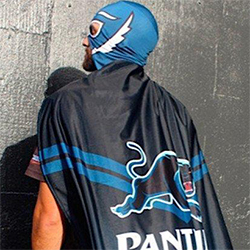 The Panthers aren’t interested in a Barrett comeback, although I understand he did make contact with the club when he heard Anthony Griffin had been let go. You can also keep Wayne Bennett off the list of coaching prospects at the Panthers. I told you last week it was absolutely no chance of happening and that remains the case. It’s official – rugby league has a new rivalry with Phil Gould and Anthony Griffin rocketing up the list of great rugby league feuds. There is no question that the Gould v Griffin storyline of the past fortnight has been ugly, and most people will tell you the truth lies somewhere in the middle. The Panthers took great exception to plenty of things Griffin said on ‘NRL 360’ last week, and while initially Gould had rejected the idea of responding on ‘The Footy Show’, he ultimately went ahead with his rebuttal. It should also be noted that Cameron Ciraldo was aware Gould was going to reveal that he had resigned twice in the past year – it was not a case of Gus throwing him ‘under the bus’ as some have suggested. One man hoping Ivan Cleary doesn’t make a switch to Penrith is forward Tim Grant, who is re-joining the club from the Wests Tigers next season. Cleary and Grant no longer see eye to eye. 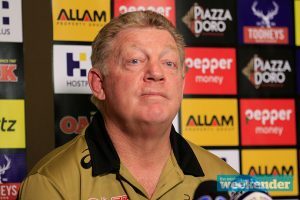 An interesting side note – Grant watched the live stream of Phil Gould’s press conference about the Anthony Griffin sacking last Monday on the Western Weekender Facebook page. Anthony Griffin opted to escape the Sydney media last weekend and flew to Rockhampton to visit his elderly father Vince. 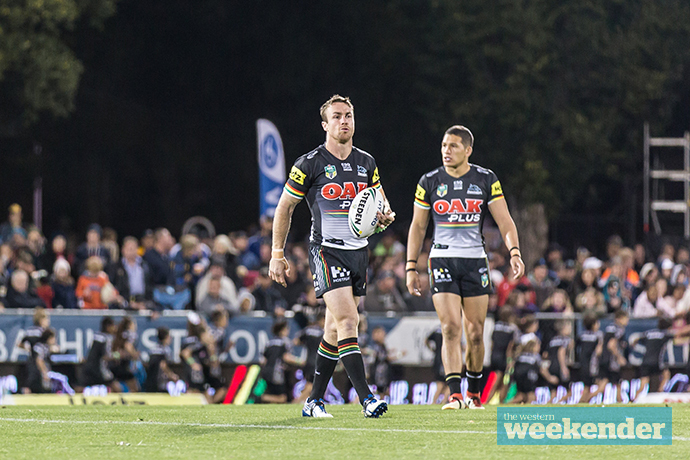 Reportedly, they watched Penrith’s great escape against the Gold Coast on TV together. It was interesting to hear Anthony Griffin say on ‘NRL 360’ last week that he didn’t read the papers. I’m told a very different story – Griffin was a keen reader of the media and in fact was rattled several times when speculation about his future would arise. Griffin’s office at the Panthers Academy remained untouched for almost a week after his dramatic sacking. Cameron Ciraldo is sticking with his current office for the time being. 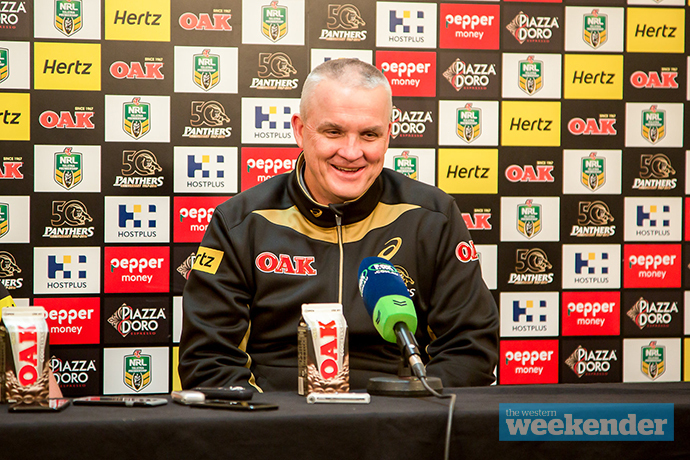 There were bizarre scenes at the Panthers’ media session on Monday when the club’s media manager brought a press conference with Tyrone Peachey to an abrupt halt after a number of TV networks suddenly switched focus from Peachey to hounding Nathan Cleary, who had just arrived at training. It was the right call to pull the interview – the camera crews were highly disrespectful to Peachey. I’m told that James Maloney has spoken privately about his desire to play in either England or France in 2020, with 2019 likely to be his final year at the Panthers. The club is comfortable with this and will assist in the transition. Still on James Maloney and he’s hoping to be fit for the Finals after suffering a knee injury against the Titans last week. Maloney bravely played on despite suffering the painful injury prior to half-time. He is considered a slim chance of being back for the Melbourne game in round 25. The whispers are growing louder that either Trent Merrin or James Tamou will switch clubs at the end of the season to ease salary cap concerns at the Panthers. Both are contracted to the club next season. Spotted: Moses Leota doing a spot of shopping at Woolworths South Penrith on Tuesday night. More judiciary trouble for forward Jack Hetherington, who has copped a two game suspension after submitting an early guilty plea to a Careless High Tackle charge stemming out of last Saturday’s game against the Titans. Penrith love Hetherington’s passion but know he needs to get his discipline under control. Spotted: A number of former Panthers cheerleaders enjoying a mid-year break to Hawaii.